Before Naomie Harris headed out to the Marriot International Loyalty Programme Launch Party on yesterday(April 17th), she posted on her instagram a picture of her winning look. 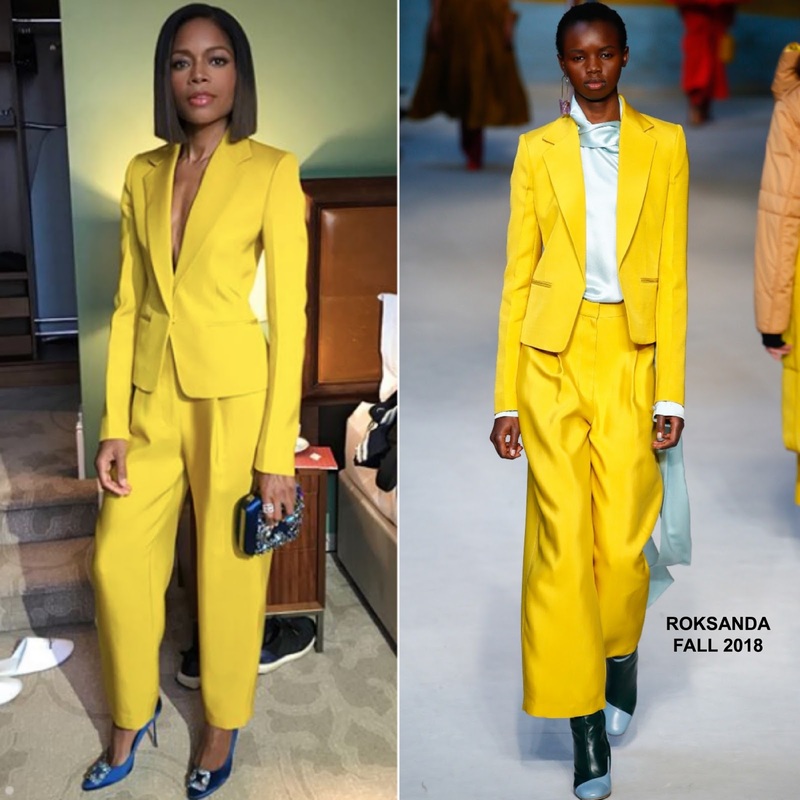 She posed for the gram rocking a vibrant ROKSANDA FALL 2018 yellow two-piece suit. While the color made an impact, it was also Naomie's accessories which enhanced the chic appeal of her look. She accessorized with JOAN HORNIG earrings, a RACHEL KATZ rings, a cobalt blue embellished clutch and cobalt blue embellished MANOLO BLAHNIK pumps. She finished up with a flawless beauty look. Are sold on Naomie's instagram style as well?